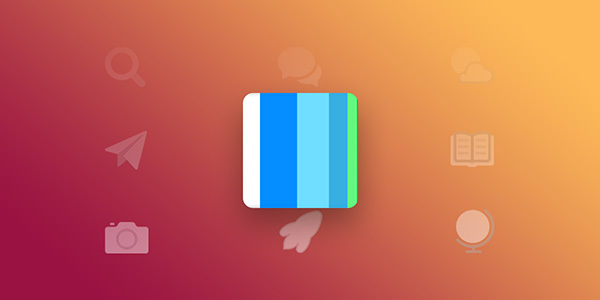 Use our multiple keywords sources and suggestions to get inspiration for your app. Spy on your competitors and category top keywords. Start your keywords research by browsing our various sources and find potential keywords for your app. Enter any keywords separated by a comma that you want to analyze. 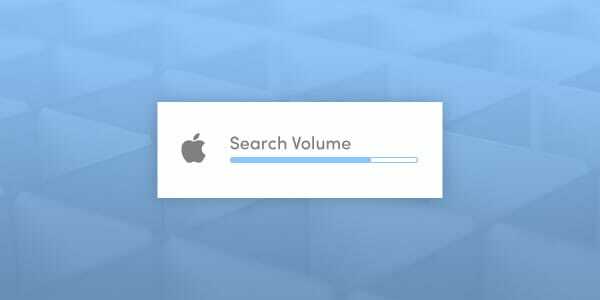 You can also automatically retrieve your existing keywords directly from iTunes Connect. Pick directly keywords from your app’s title, subtitle / short description and app description. You can also pick the keywords from your competitors’ metadata to save some precious time in your keyword research! Title and Subtitle Keywords are all the keywords and short phrases that are present in the app’s title or subtitle. Description Keywords are keywords and short phrases that are repeated at least twice in the app description. The percentage represents their density within the whole description. We only take into account words with at least 2 characters, and we remove all stop words. Get a list of keywords sorted by estimated percentage of organic downloads that each keyword brings to the app. The keyword spread will help you understand your keywords’ performance and see which keywords work the best for your app. Best part: you can spy on your competitors’ keywords (or any other app) from both the Apple App Store and the Google Play Store to see on which keywords their installs mostly come from. Ranked keywords are the top keywords for which your app is ranking between the 1st and the 100th position in the search results. You can therefore check the keywords for which your app and your competitors rank the best. Start a 7-day free trial now or schedule a demo to see how you can find the best keywords with AppTweak Keyword Tool! Enter any term to get Search Ads Related keywords and get a list of Search Ads Recommended keywords for any app. This is another great source of insights for both your ASO and Search Ads strategy. You can easily track and analyze keywords on which your app and your competitors bid on. The “Shared keywords” section shows you the paid keywords your app has in common with the selected competitor. Enter a few letters or a keyword to get available auto-suggestions. The hints provided are very popular amongst store searches. Use these suggestions as a great source of inspiration for your app keywords. Click to add them in your Keywords Analysis and get more insights. You can also get the list of the top 10 Trending Keywords (most popular searches) for the selected country. Category keywords are keywords for which Top Apps are ranking between the 1st and the 100th results. You can therefore get a list of the best keywords for which the Top Apps from a specific category rank the best. Add them to your Keywords Analysis to get more insights. In a glimpse, discover the keywords with the greatest positive or negative change in Search Popularity over time, for a given country. Top Growth Keywords allow you to see the changing trends in keyword search, and monitor keywords performance accordingly. For the chosen period of time, we calculate the change in Search Popularity score across all followed keywords for the given country and language. You can sort them by 'Best Search Popularity Growth' (greatest popularity increase), or 'Worst Search Popularity Growth' (greatest popularity decrease). Shuffle up to 5 different keywords and get all possible 1, 2 and 3 word combinations from them. Use our Keyword Shuffler to identify powerful combinations from relevant keywords. Enter the keywords you want to shuffle and select the number of words you want in the generated combinations. Discover the keywords that bring most installs to your Android app on the Google Play Store, along with the exact and accurate number of downloads they drive! Integrate your Google Play Console to have access to your Google Play Store Install Keywords coming directly from Play Store searches in AppTweak! These keywords are the keywords searched by users on the Play Store that brought most installs to your app over the last 6 months. We’ve also added them in our Keyword Research tool so that you can easily add them to your Keywords Analysis. It’s as easy as that! Get an easy access to the keywords bringing installs to your Android app from mobile web browsers. These keywords are the keywords searched on mobile web browsers that drive most downloads to your app worldwide. To get these keywords, Simply sync your Google Play Console with AppTweak and voilà!